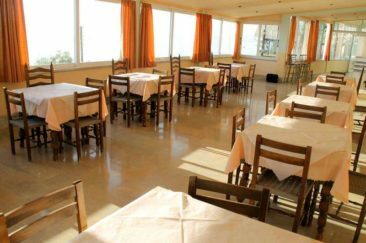 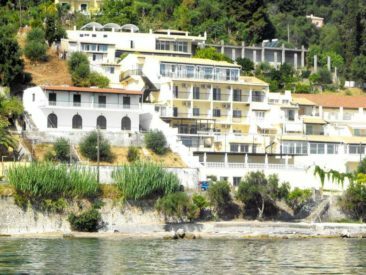 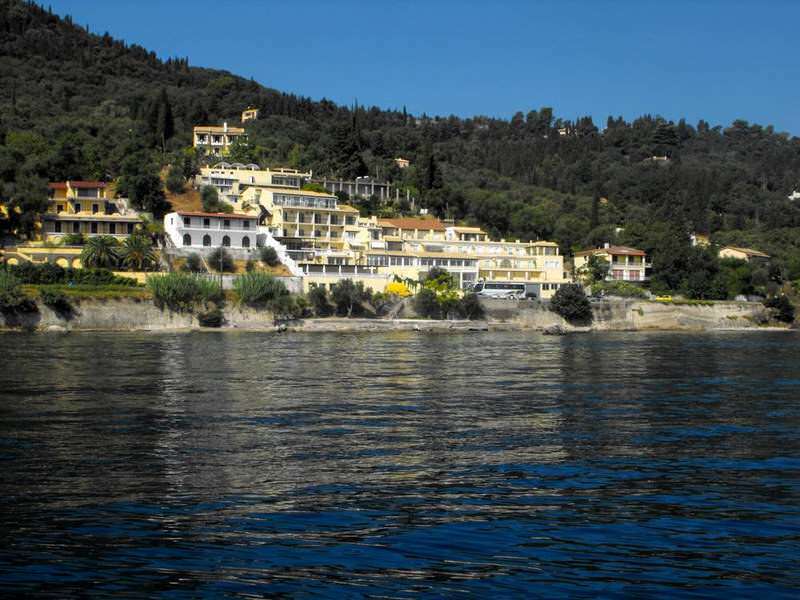 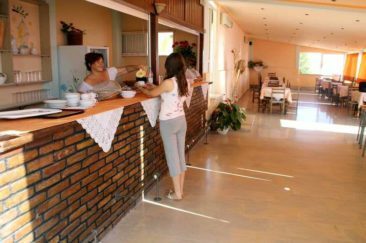 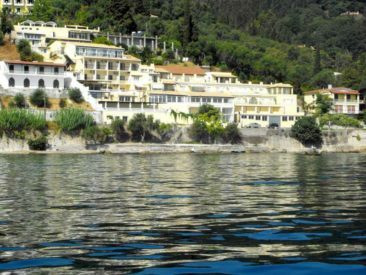 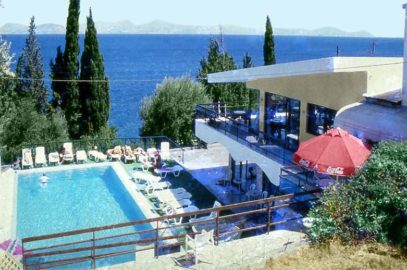 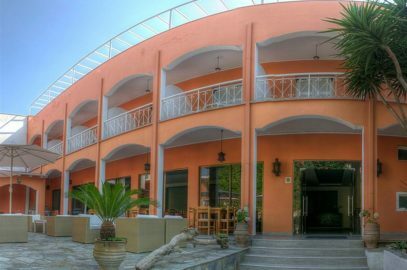 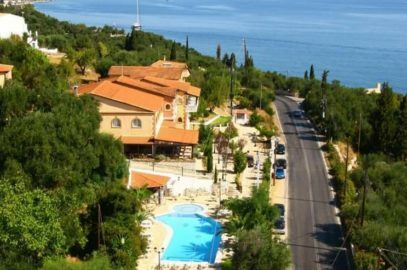 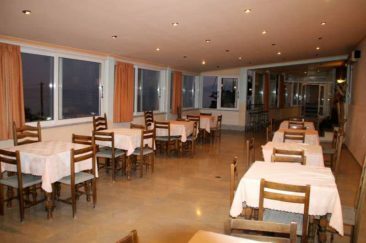 The hotel is located 9 miles south of Corfu town and just 1 mile north of the picturesque village of Benitses, on the Lefkimi national road. 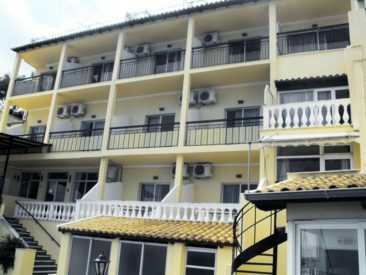 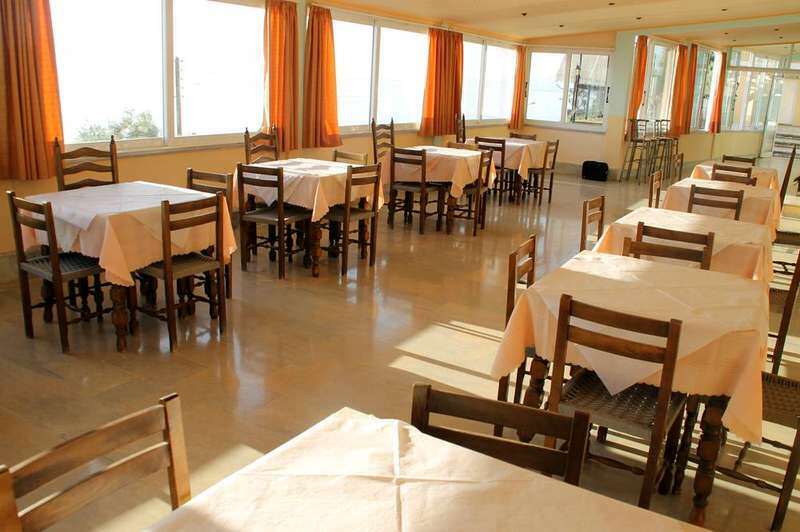 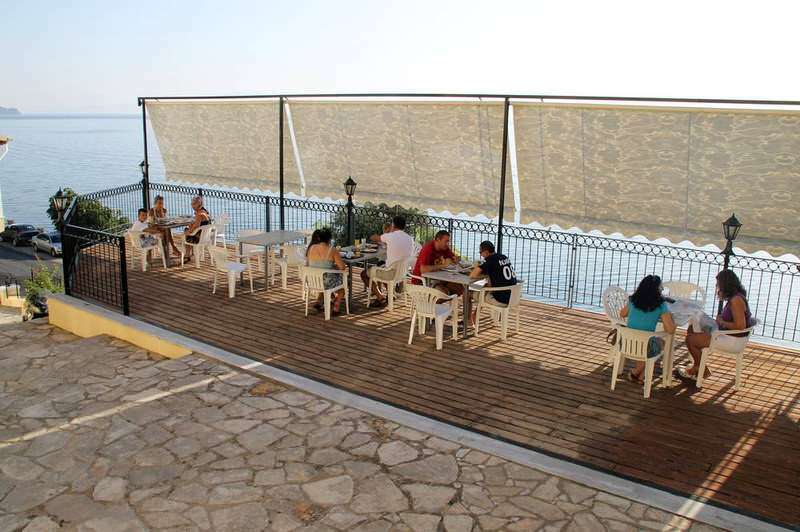 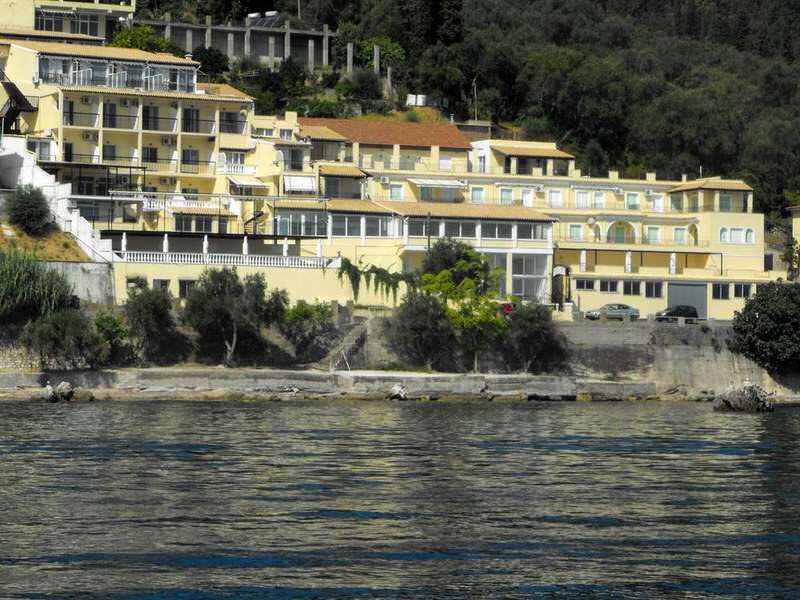 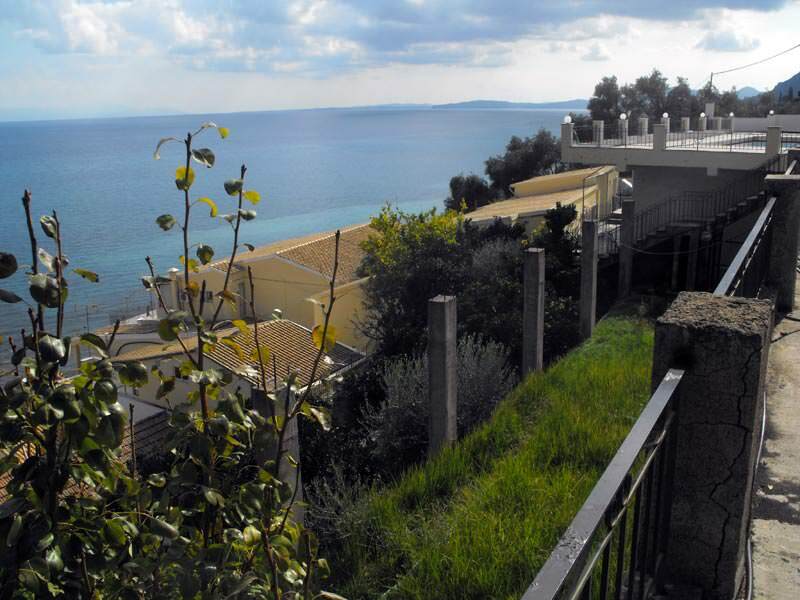 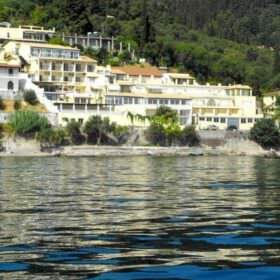 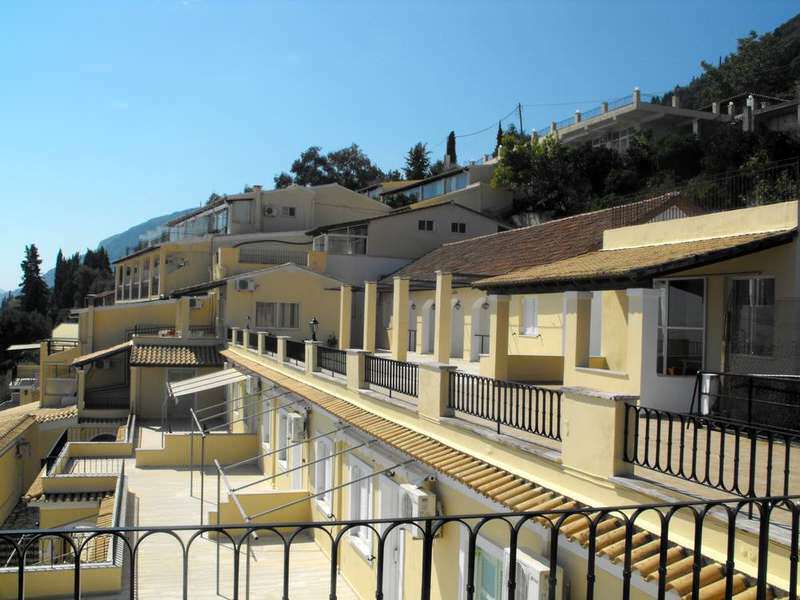 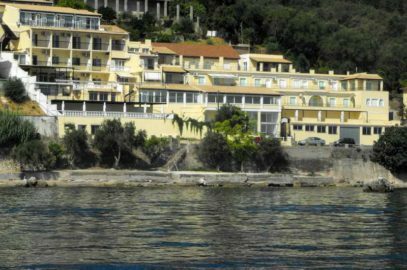 It is built above the eastern slopes of Achillion palace hills, just 10 meters from the sea, with 43 hotel rooms in the class of 2 star and 16 apartments belonging to category of 3 keys, we offer quality services to visitors to Corfu since 1982. 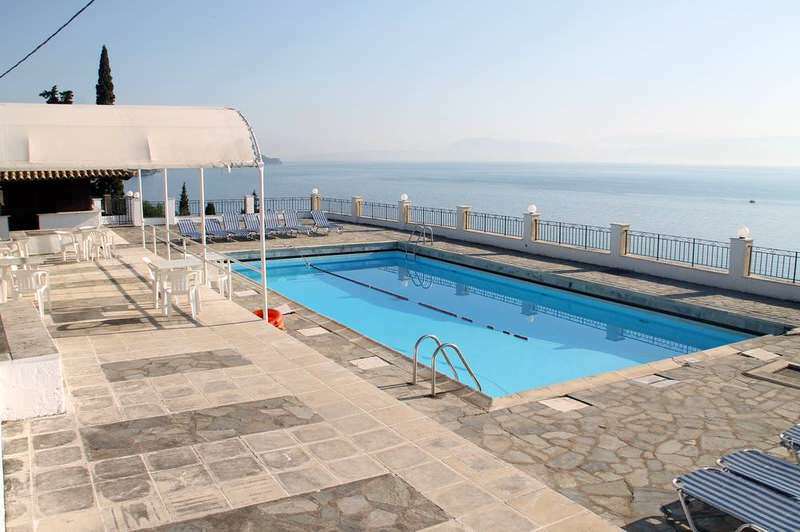 Our large swimming pool is located at the top of the building next to the bar. 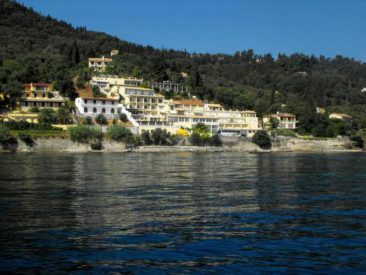 coasts of Epirus and Albania and up to the Mouse island and the peninsula of Kanoni. 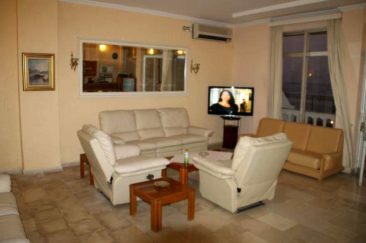 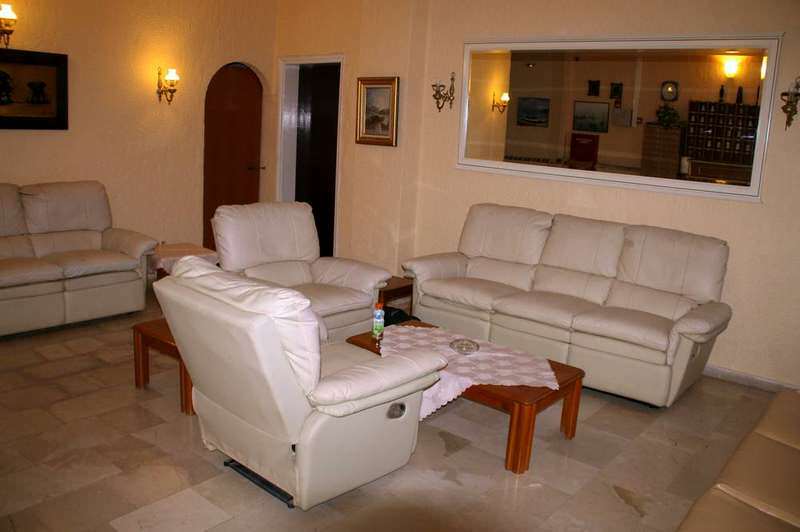 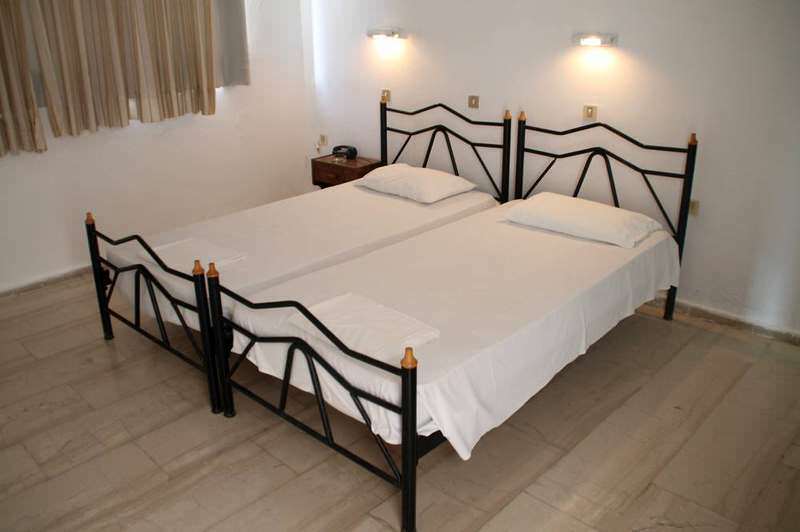 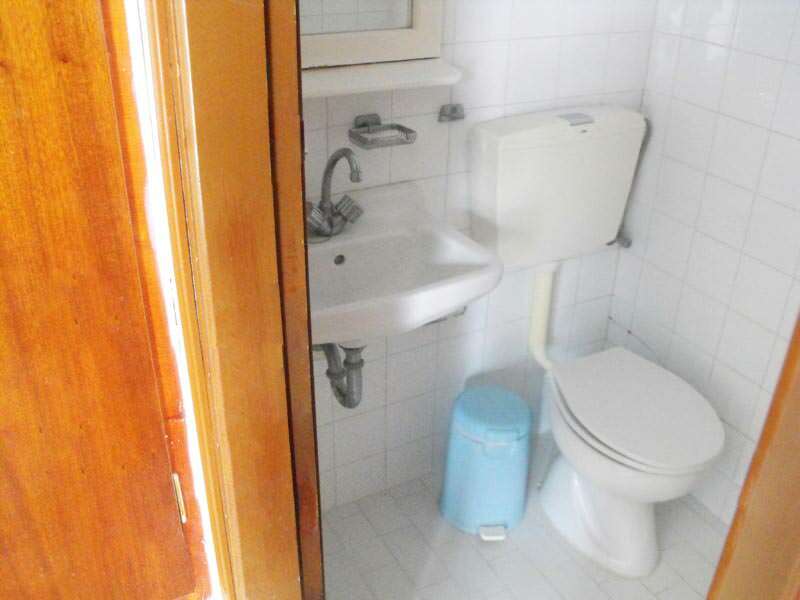 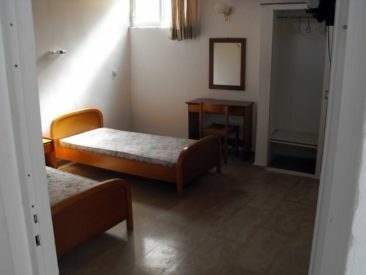 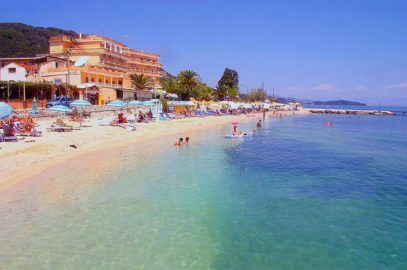 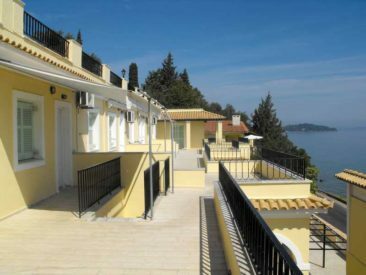 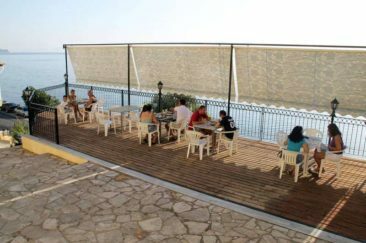 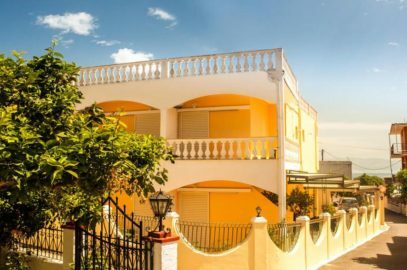 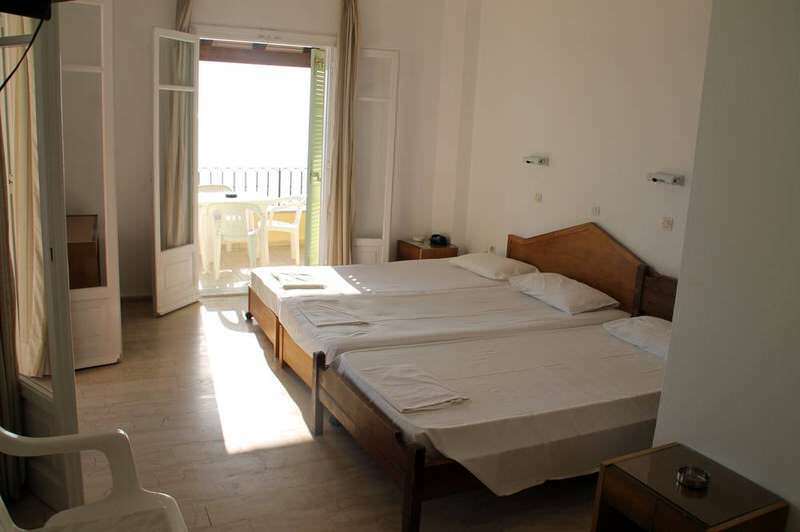 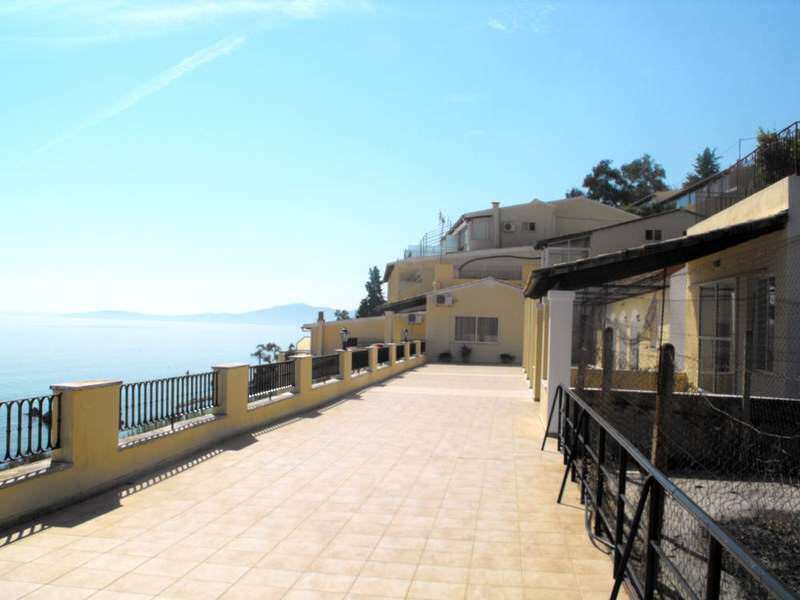 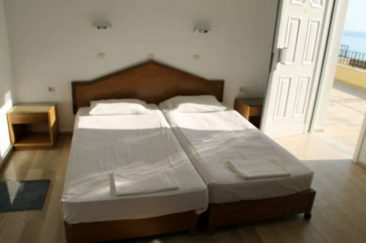 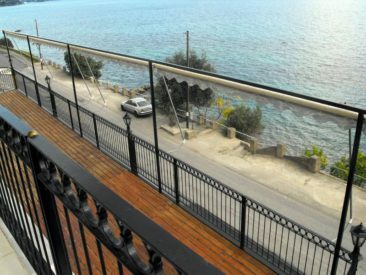 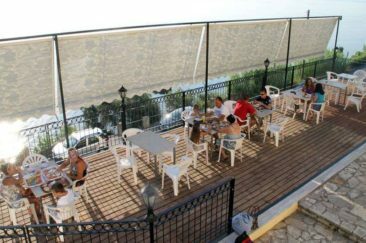 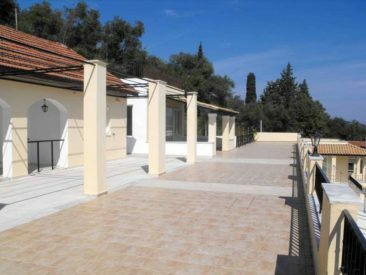 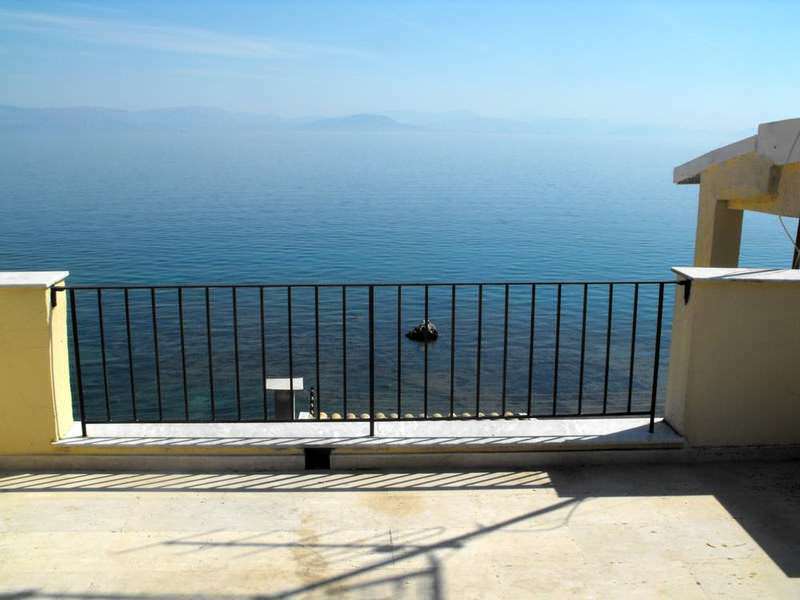 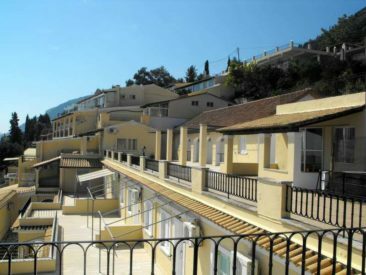 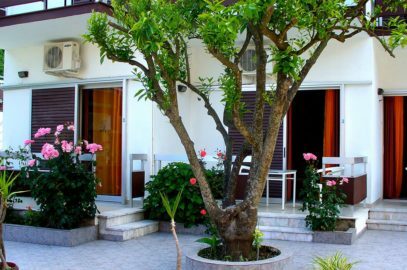 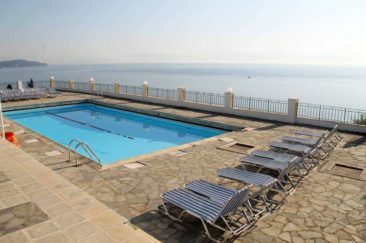 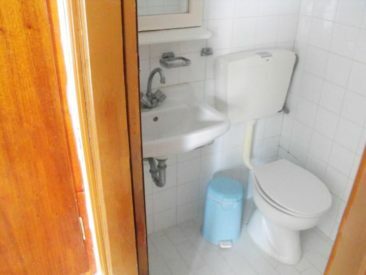 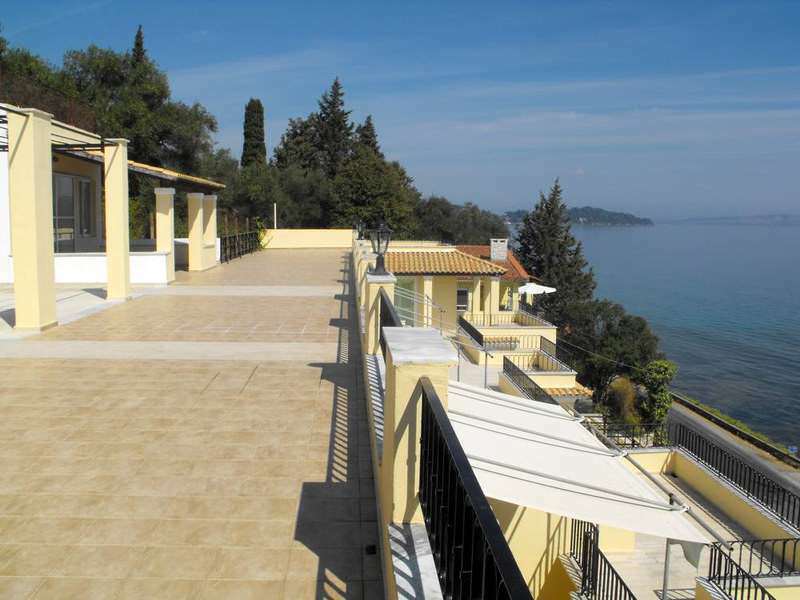 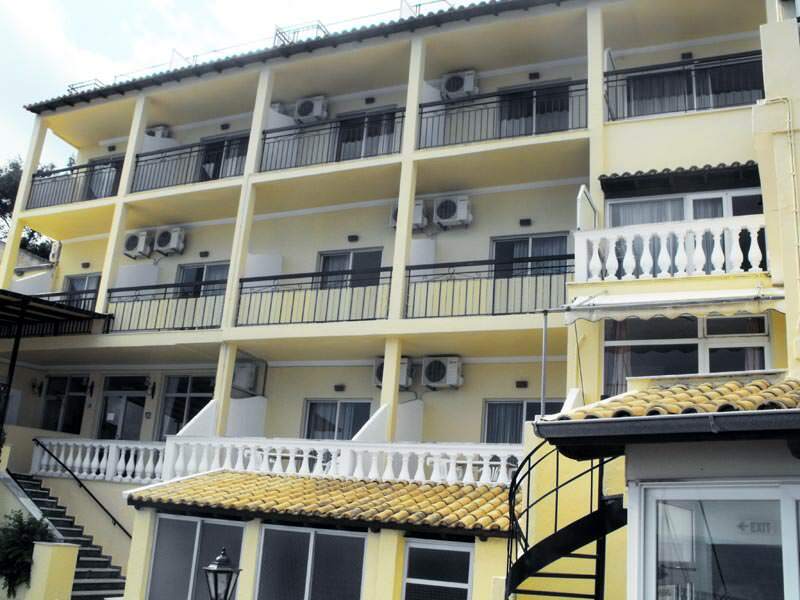 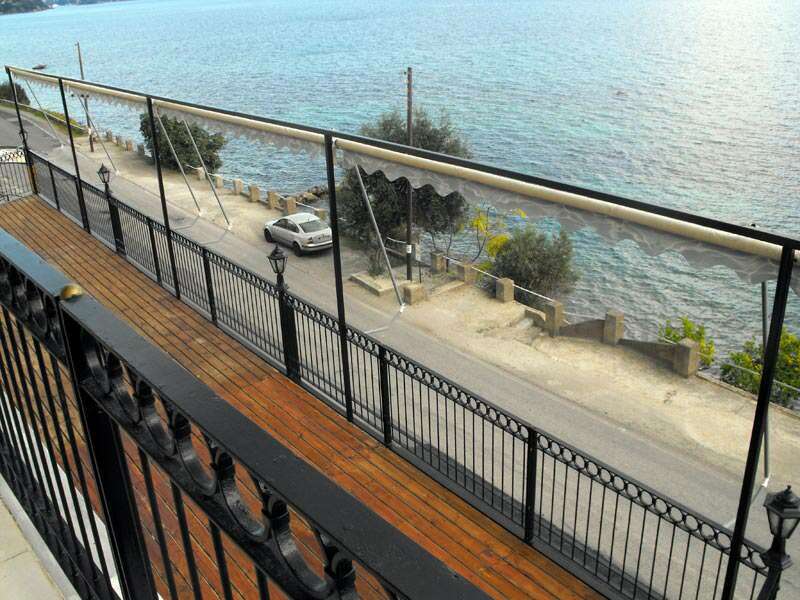 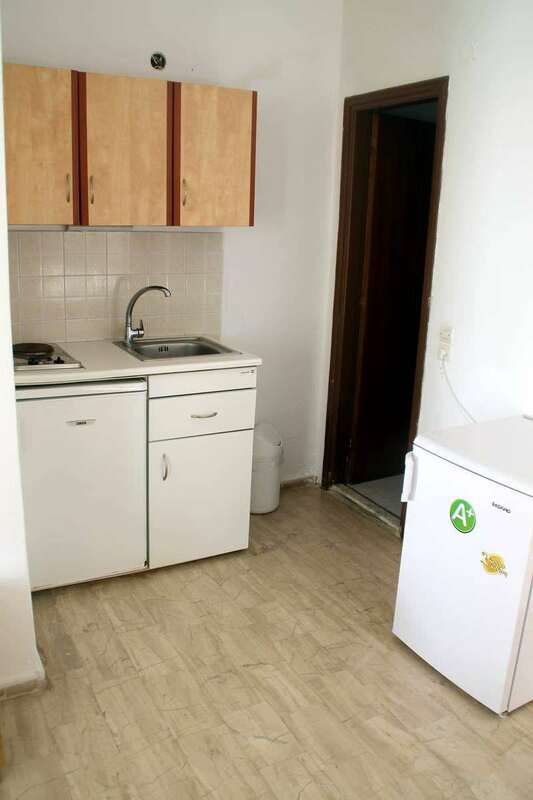 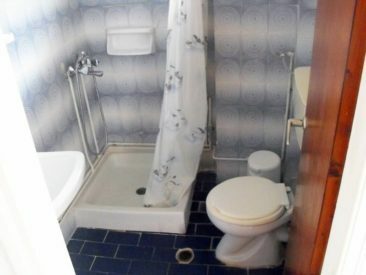 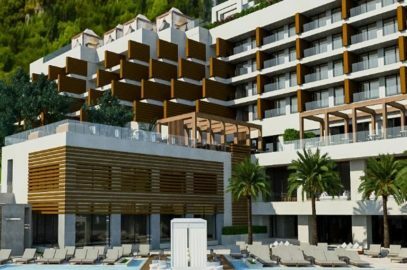 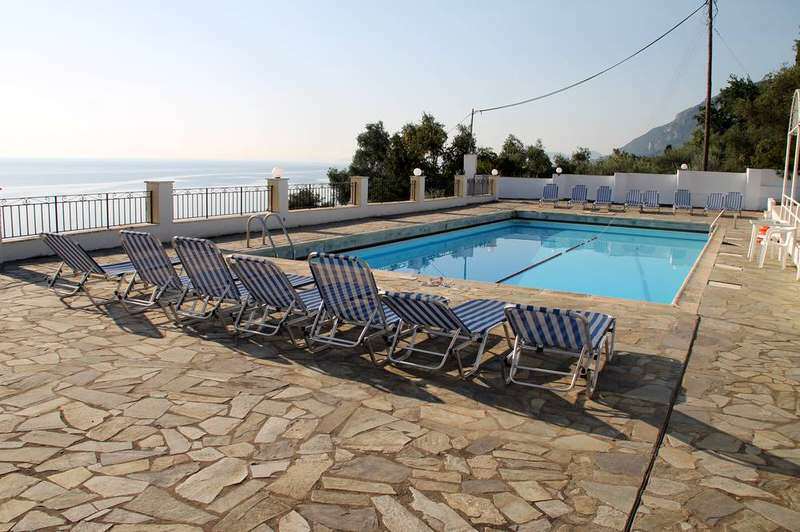 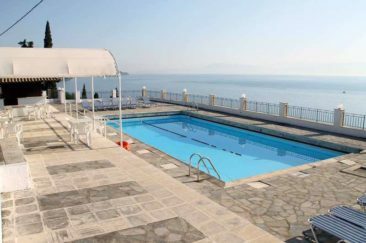 Its central position makes it ideal for those wishing to explore the entire island, the sights of Corfu town, the entire east coast and the amazing and vast beaches of the west and south of Corfu.